U.N. votes 128 to 9 to condemn U.S. decision on Jerusalem – Royal Times of Nigeria. The United Nations General Assembly on Thursday, rejected the Trump administration’s decision to recognize the disputed city of Jerusalem as Israel’s new capital, by a 128-9 votes. Despite threats by US Ambassador to the UN, Nikki Haley and Donald Trump, threatening to stop funding countries who vote against the decision, diplomats gathered in New York City and approved a nonbinding resolution calling on countries to avoid moving their embassies to Jerusalem. Among the countries that voted in favor of the resolution are many traditional U.S. allies, including the United Kingdom and France. Israel, which celebrated Trump’s decision earlier this month, joined the U.S. in voting against the measure. 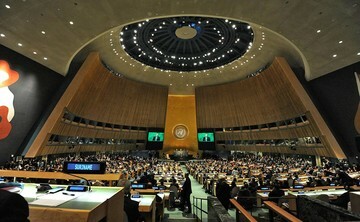 Thirty-five countries abstained, including U.S. allies Canada and Australia. Mexico, Togo and a host of other countries, stayed away from voting as well. Nigeria, Russia and China voted against the US, in favor of the resolution not to move embassies from Tel-Aviv to Jerusalem. Even though they voted against the resolution, it still won’t change the fact that Jerusalem is still the capital of Isreal. This is more of a political statement than anything else. Below is the list of the top countries who receive the most aids from the US but still voted against them.